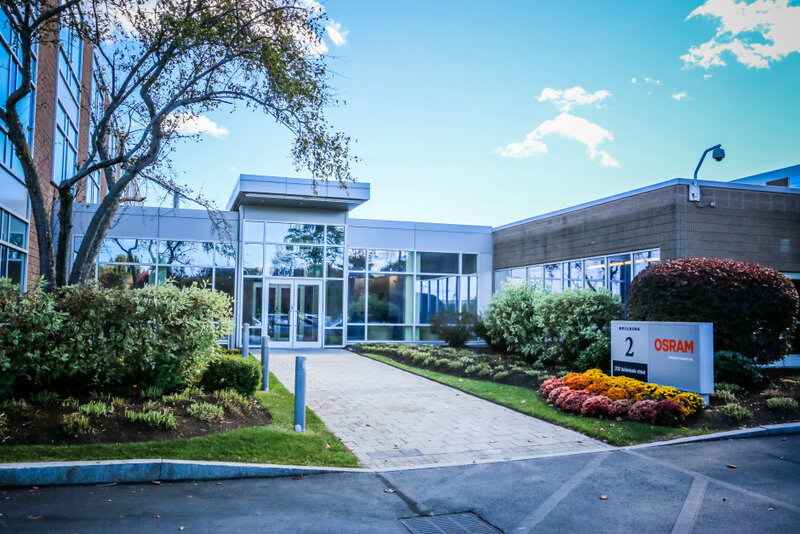 OSRAM has been honored as a CoreNet Global New England 2016 Award of Excellence winner. In partnership with architectural firm Sasaki, Osram focused on reinforcing its core motto, “Light is Osram,” in the new workspace. With an emphasis on light as a building material, the new 130,000-square-foot location harnesses the power of natural light, and implements smart technology to lower energy consumption and ultimately costs, all while providing employees with both a comfortable environment and creative lighting components to encourage engagement and collaboration. By consolidating two of the company’s three offices, the new headquarters effectively reduced Osram’s carbon footprint and increased building sustainability, while also achieving LEED Gold Certification through the use of LED sources and daylight dimming. "The headquarters for Osram Americas is an incredible example of business goals aligning with design inspiration, vision, cultural aspirations, and a strategy for the future of a company,” said Victor Vizgaitis, AIA, Principal in Charge on the project at Sasaki. “Sasaki couldn't be more proud to have been part of the team that brought this all to life." Osram’s U.S. headquarters houses 525 employees in various departments including sales and marketing, human resources, information technology, finance, legal, and corporate communications, as well as research and development. CoreNet Global (https://corenetglobal.org/) is the world’s leading association for corporate real estate (CRE) and workplace professionals, service providers and economic developers. Nearly 7,500 members with 250 New England members - who include 70% of the Fortune 100 and nearly half of the Forbes Global 2000 - meet locally, globally and virtually to develop networks, share knowledge, learn and thrive professionally. CoreNet Global's mission is to advance the effectiveness of Corporate Real Estate professionals and the entire industry engaged in delivering value to corporations through the strategic management of corporate real estate and workplace resources. At Sasaki, we believe in the transformative power of place. Places transcend physical spaces, becoming the context and the content of our experience of life. For over sixty years, Sasaki has brought together the best of architecture, interior design, landscape architecture, planning, urban design, civil engineering, graphic design, place branding, and data science to shape the places in which we live. Out of our Boston and Shanghai offices we are defining the contours of place and redefining what's possible along the way. Today, we are a diverse practice of 270 professionals who share a singular passion for creating spaces and places around the world that prove human potential.